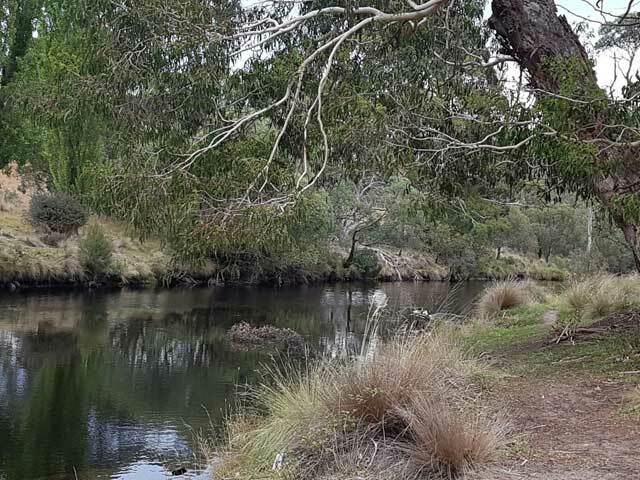 Lower Thredbo River near rest area. Photo taken by Graham Conden at the Boulders, Waterfall Track, looking south. Adrienne Kinna, Chris Edwards, Barbara Mitchell, Graham Condon, Jan Mathieson, Shirley Hart, Lynne Outhred, John Maltby, Graham Lewarne, Tom Halbert, Mark Armstrong, Anne Armstrong. 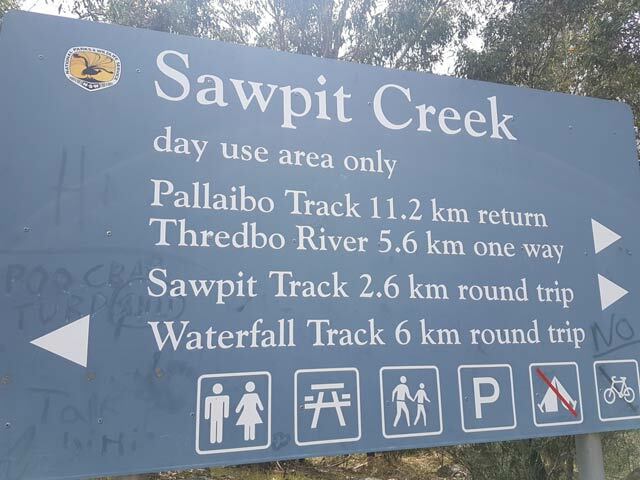 These two well-formed tracks are easily accessible from the Kosciusko Road and clearly signposted from the Sawpit Creek Rest Area, 12km north of Jindabyne. The weather on the day was mild and cloudy with a light breeze. 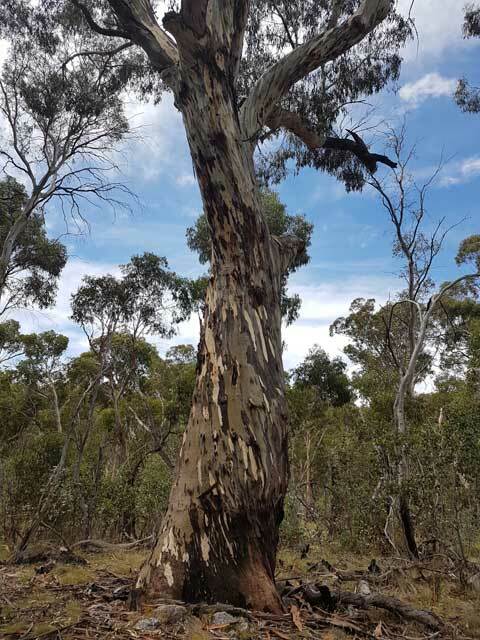 The open woodland and stringybark forests were inspiring - the eucalypts a heady mixture of tall manna gums, candlebarks and mountain gums. Regeneration after the 1998 and 2003 bushfires is well-advanced, with established saplings growing in abundance. There is a gentle incline for 3km at the beginning of the Waterfall Track, a 6km loop walk which features a noisy Waterfall on the Sawpit Creek, and the Boulders where we stopped for morning tea and photographs in a field of massive granite rocks. Four bouncy and inquisitive red-necked wallabies shared the track at different stages. Tiger snakes were reported by others on this track, but the leader saw nothing despite keeping a keen eye out when the day warmed up. We joined the Pallaibo Track after lunch at the Sawpit Creek Rest Area, heading down the Sawpit Creek. At the first wet crossing three alpine water skinks scrambled for cover among the rocks but were too fast to be photographed. 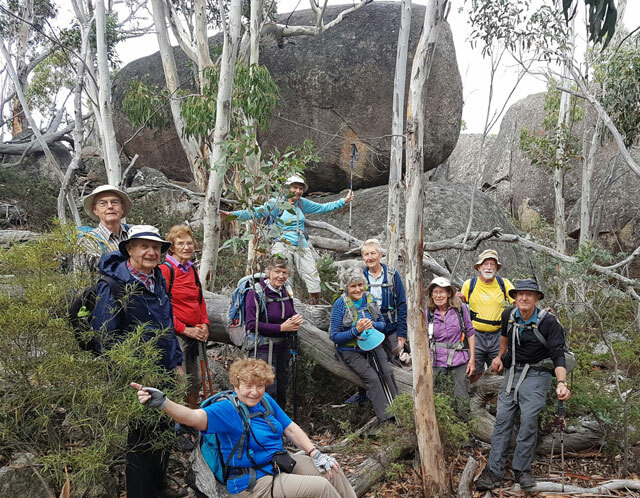 Further along the track as we descended into rolling grasslands we encountered an enthusiastic tribe of walkers advancing in the opposite direction - our other Bush Club group led by Lyndal Lawless, with Karen from the Geehi Club. Enhaltations and excitement ensued, as Karen pointed out the planned track upgrade and construction material. The track then followed the lower reaches of the Thredbo River, a wider stream at this point before it flows into Lake Jindabyne. From the track above we observed a large red-bellied black snake basking on the river bank. 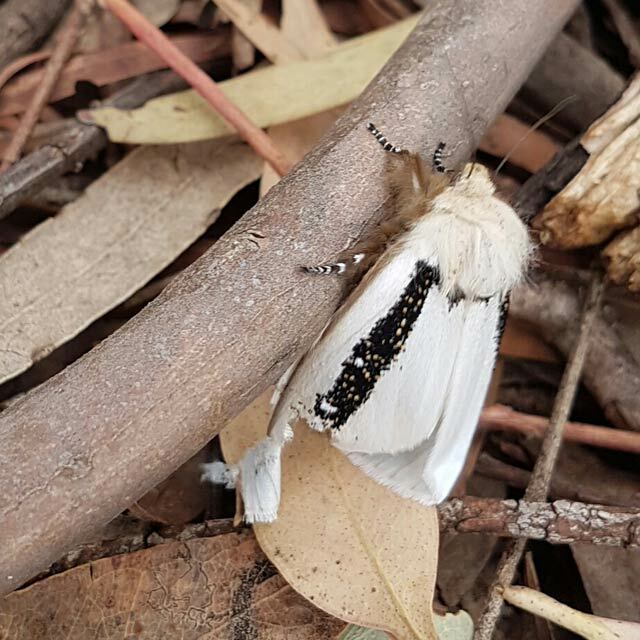 It ignored us entirely and we kept our distance. Soon we reached our destination, the Thredbo River Rest Area with its extensive picnic facilities and NP information noticeboards. Some walkers enjoyed another snack opportunity while the car shuffle mechanism was activated. The logistics and merits of arranging a main parking base half-way (and uphill) on a walk were superbly demonstrated by Barbara Mitchell. This was a special walk for me and a happy one. Nine walkers were veteran Bush Club leaders, it was an 80 Leaders walk, and it was my first official role as a leader for the Bush Club.